Looking for a sweet treat that’s a bit different? 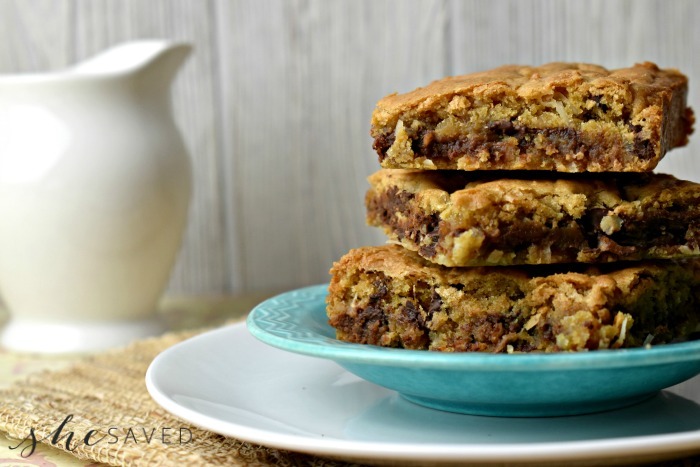 This Chocolate Chip Coconut Bars Recipe is a fantastic twist on old favorites and has all the right things, especially if you love coconut and chocolate together. 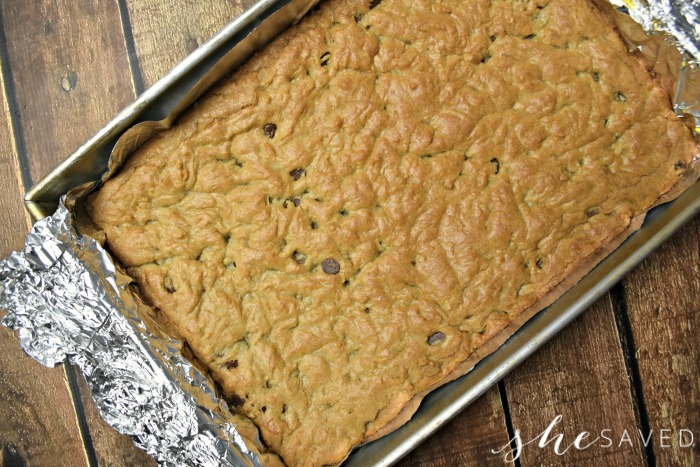 We also really love the pan style of cookie bars. It makes it easy to select portion sizes and it makes it really easy to nibble on during the day, but you didn’t hear that from me! 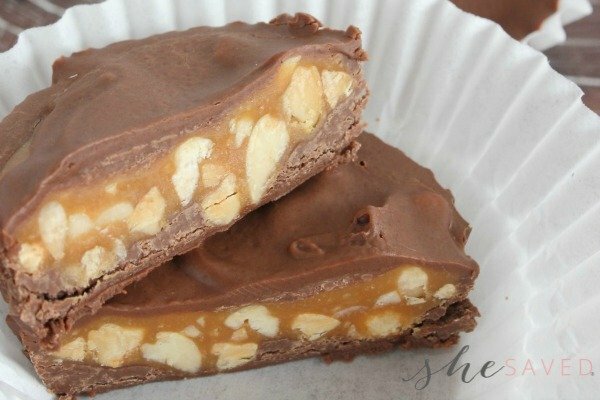 I usually double this recipe and freeze bars individually because they freeze very well and it’s a great way to have yummy treats on hand at a moments notice. 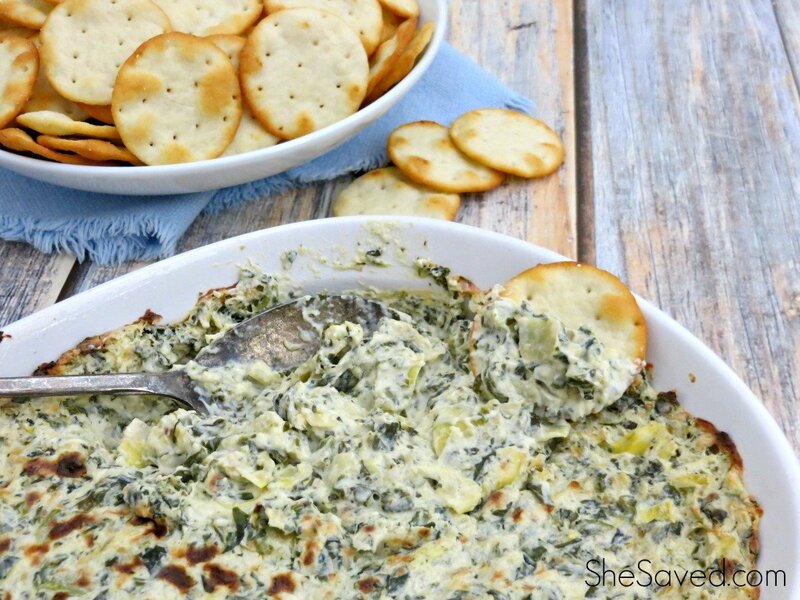 My hubby has been known to warm these up and top them off with a big scoop of vanilla ice cream! 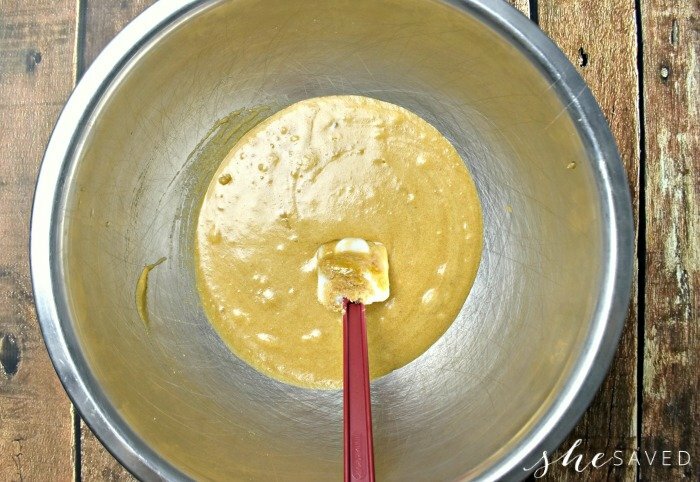 In a large bowl, cream the shortening, brown sugar, vanilla, and eggs. 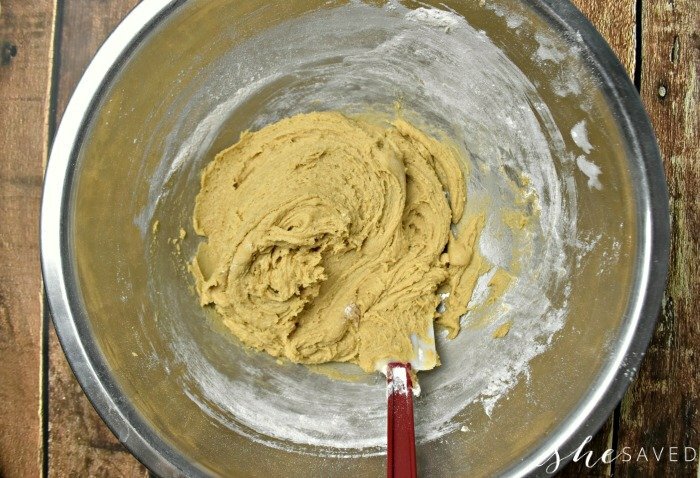 Add in the flour, salt, and baking powder and mix until everything has been well combined. Line a 9×13 pan with aluminum foil and grease with cooking spray. 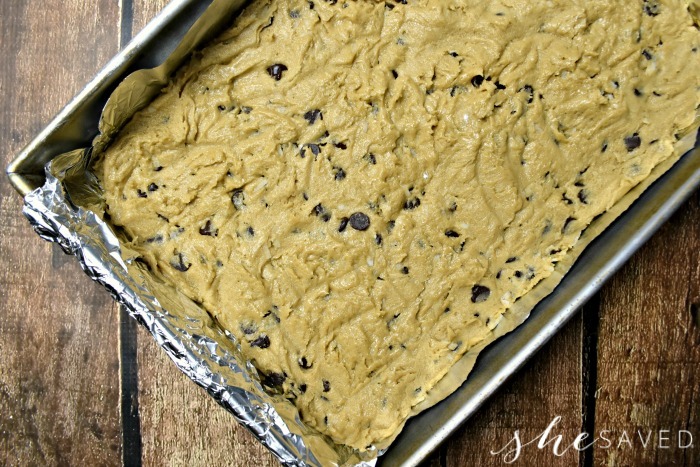 Bake the bars at 350 degrees for about 25 minutes or until golden brown on the top. Cool well before removing from the pan and slicing. Line a 9x13 pan with aluminum foil and grease with cooking spray. And just in case you like to see video footage of delicious things …. « Consumer Reports Magazine Subscription for $18.99! 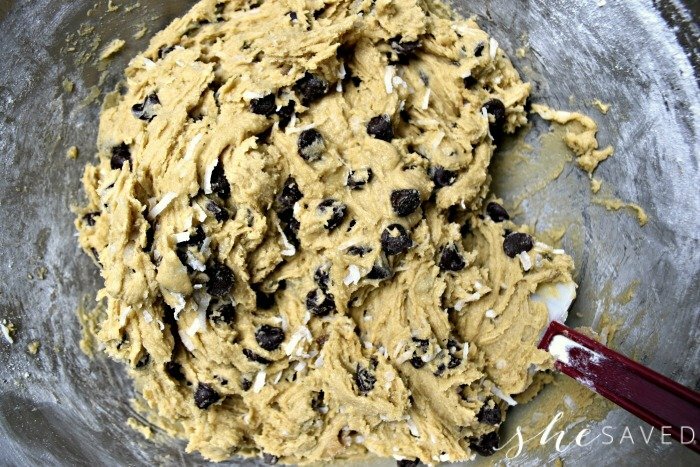 As a coconut lover this recipe sounds yummy to me! Thanks for sharing with us at the Merry Monday party! Can't wait to see you again next week. Sharing! 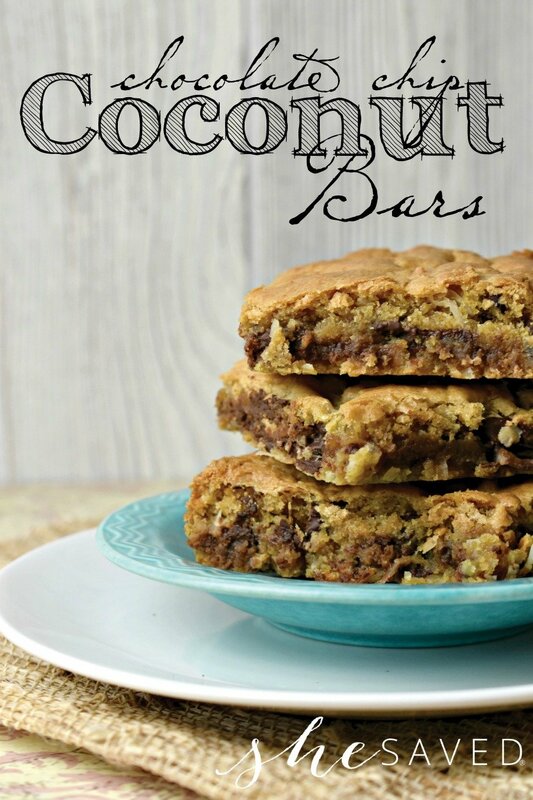 These coconut chocolate chip bars look so yummy! Thank you for linking up with us at the #HomeMattersParty this week.